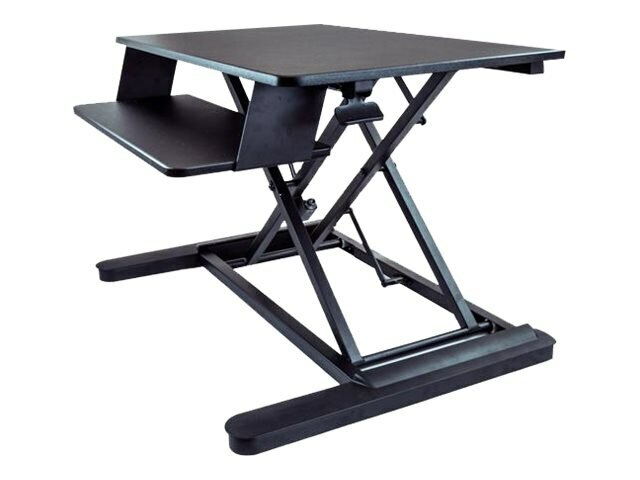 Stand up Desk Converter for 2 Monitors up to 24" or one 30"
The sit-stand workstation is designed to support your ergonomic needs. With one touch, you can switch your position to sitting or standing, to keep a balanced level of movement. The workstation features an advanced pneumatic arm that provides effortless movement - you simply raise or lower the platform with one touch of the lever. You can adjust the standing desk to match your exact height requirements, raising your monitors a full 15.7” (399 mm) off of your existing work surface. Adjust the height with one smooth motion, with a height adjustment range of 15.7” (399 mm).